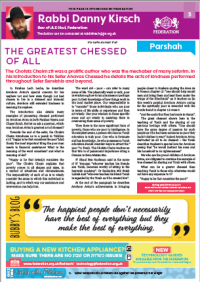 The Chofetz Chaim ztl was a prolific author who was the mechaber of many seforim. 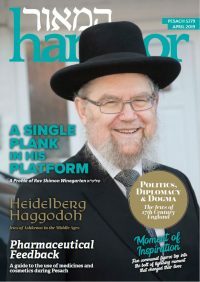 In his introduction to his Sefer Ahavas Chessed he details the acts of kindness performed throughout Sefer Bereishis and beyond. 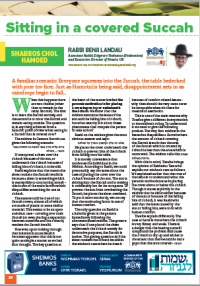 No doubt, you are all still basking in the afterglow of all the Yomim Tovim. The re-entry into the atmosphere, however, is fraught with danger. 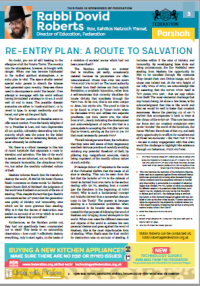 When one has become habituated to the rarified spiritual stratosphere, a reentry plan is vital. The space shuttle needed special solar panels to absorb the intense heat generated upon re-entry. Deep-sea divers need to decompress to avoid ‘the bends’. If we attempt to re-engage with the world without having formulated a strategy to do so, it could well all end in tears. The possible disaster scenarios are either to ‘crash-and-burn’, or to revert to type, to accept mediocrity and the banal, and give up the good fight. 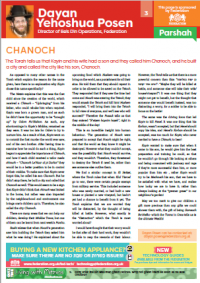 The Torah tells us that Kayin and his wife had a son and they called him Chanoch, and he built a city and called the city like his son, Chanoch. 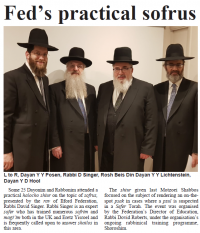 The gemoro (Megillah, 31a) teaches that every year on the last day of the yom tov of Succos, we lein the parshah of Vezos Habrachah. 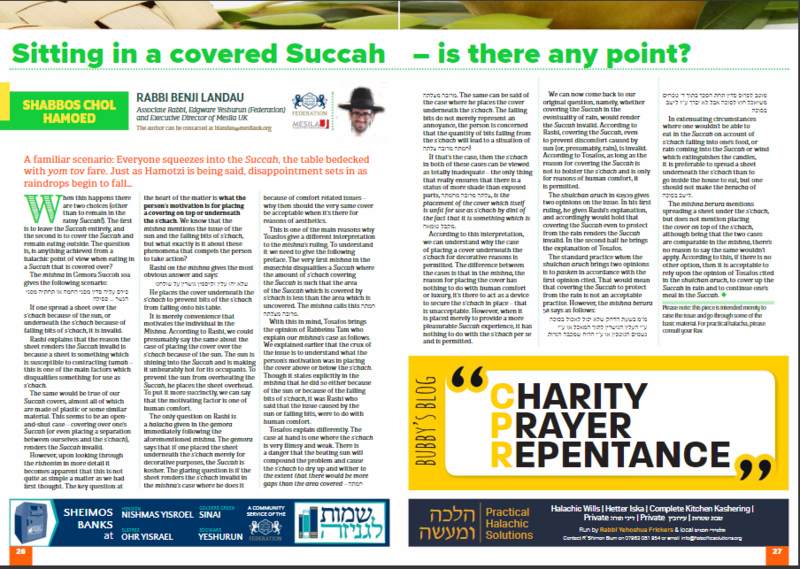 This is not only in line with our custom to complete the public reading of the whole Torah every year on Simchas Torah. 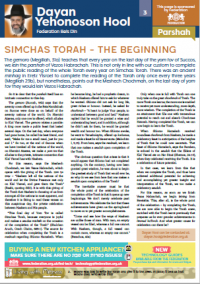 There was an ancient minhag in Eretz Yisroel to complete the reading of the Torah only once every three years (Megillah 29b), but nonetheless, points out the Meshech Chochmah, on the last day of yom tov they would lein Vezos Habrachah.